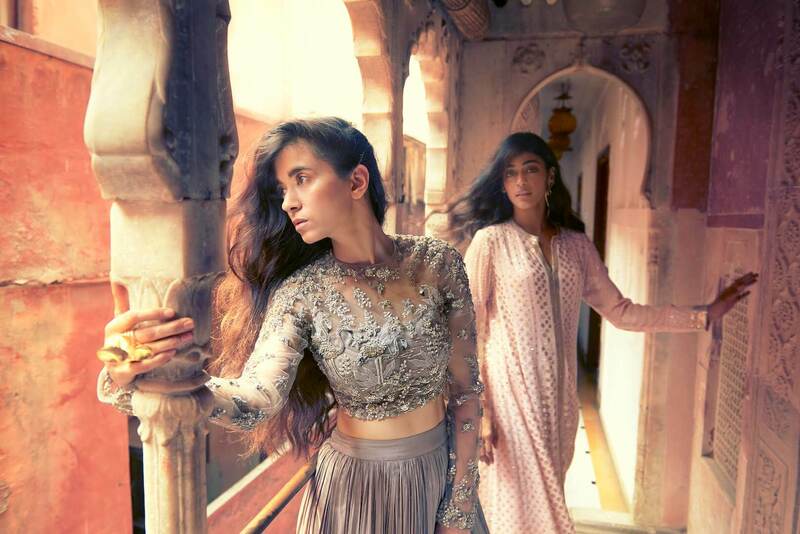 This season, musicians and friends Saba Azad and Rachel Varghese show us the relaxed aspect of Indian weddings. We caught their carefree spirit at a make-believe wedding in the heritage quarters of Chandni Chowk. Between shots, we chat with the two of them on how to keep friendships alive, balance hectic schedules, and we get their unique take on Indian weddings. Our two leading ladies met at a live gig seven years ago. Saba is one half of Madboy/Mink, an Electro-Funk duo, and Rachel is a Jazz and Blues singer/songwriter with Bollywood hits from Befikre and Shandar and they instantly connected on their shared love for music. Today, they’re both part of Mikey McLeary’s ensemble band The Bartenders, but their friendship goes way beyond that. SABA: Travel with your friend, if you come back happy and haven't ripped your hair out yet, you’ve got yourself a keeper! Travel is the true test of any relationship and that’s what keeps us solid. RACHEL: I know I can always count on Saba. We may not meet everyday but I know she’s always just a call away. She’ll lend me an ear or a shoulder whenever I need it. SABA: Exactly! People who manage to remain close to you despite your erratic schedules are the ones who you can count on. RACHEL: Communication and honesty are the key. Neither of us are afraid of hurting each other. We’re both raw in our relationships and it comes from a place of love. SABA: I’m working on two plays right now, my first solo EP comes out in this year and I’m writing a couple feature length scripts, one of which I hope to direct. All my energies are mainly focussed on my EP though. So much to do, such little time! RACHEL: The Bartenders usually keeps me busy. I also work with another collective and we play at corporate events and at smaller music venues. But my big plan right now is to move to LA and really put myself out there on the Jazz scene. RACHEL: I bum around with my loved ones, spend time catching up on films and practice yoga when I need a pick-me-up. And I also love to cook! SABA: I’m hardly ever not working. I like to take a break to be by myself and indulge in some writing. Yoga is another activity that brings me immense joy. I also secretly go out social dancing all alone. There’s a pretty big Tango scene in Bombay that I love exploring every now and then. RACHEL: One of my musician friend’s wedding was the most fun I’ve had. They had the most incredible sangeet with people playing live music all night with everyone just dancing away. SABA: My own brother’s wedding was the most memorable. It was an old-school, understated, amazing wedding in a beautiful haveli. Since both of them come from a family of musicians, the sangeet was magical. It was set in the haveli's courtyard with everyone singing and playing dholkis. RACHEL: I’m a total sari person. 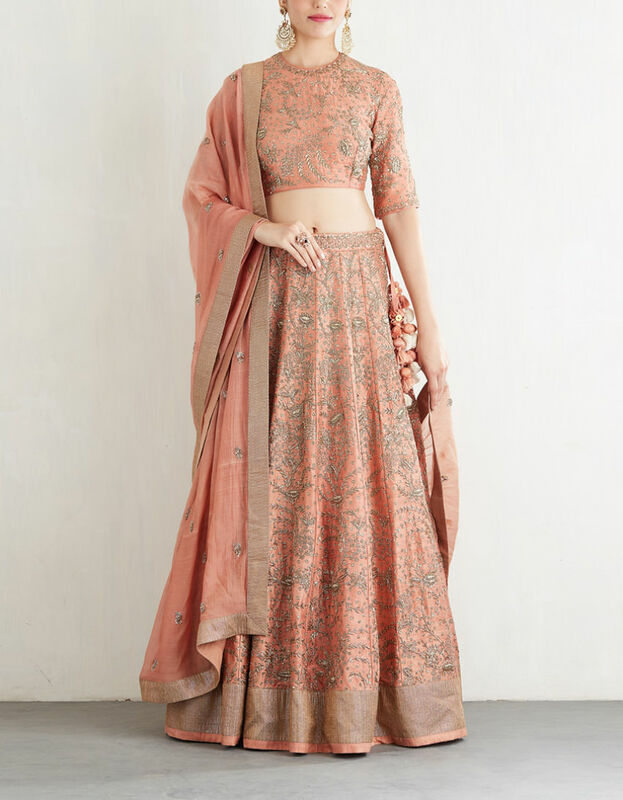 You’ll either find me in a reinvented, modern trouser-sari / sari-dress, or a traditional sari like a Raw Mango one or a Kerala white-gold sari. I like my saris simple, minimal and elegant. And I love accessorising with some kundan jewellery. 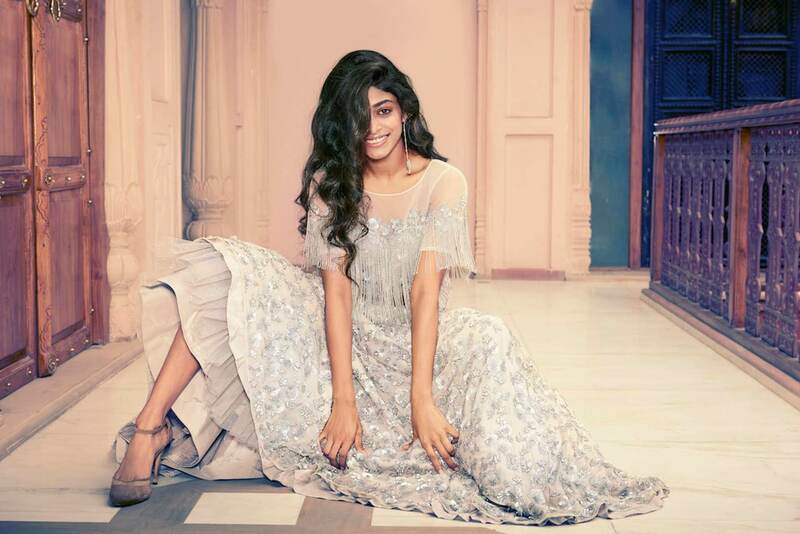 SABA: I love cotton handlooms, and I have a huge sari collection. I grew up learning classical dance so I can basically live in a sari. I wear my easy cottons with a crop-top or dress it up with a silk blouse depending on my mood. I also love chikan kurtas that I wear for Eid. RACHEL: You don't ever make a pass on your girl’s boyfriend or even her ex! I know it sounds high-schoolish but exes are a tricky, sometimes sore territory. SABA: Girls need to stand up for each other. No thanks to patriarchy, we have a long history of being pitted against each other. The only way to break the cycle is by uniting forces. RACHEL: Always be honest. But know when you need to sugar-coat it. 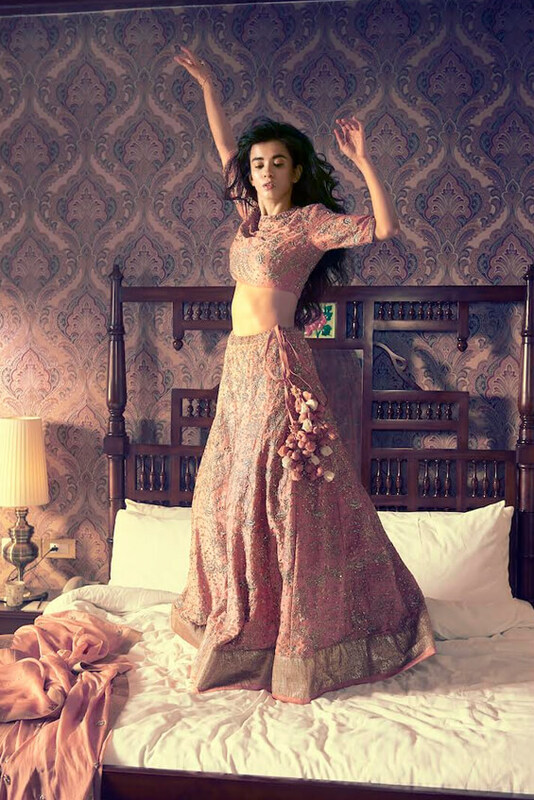 SABA: You never let anyone bad-mouth your girl. Anyone who dares to talk crap about my girl will be annihilated. RACHEL: There’s no room for judgement in a solid friendship. You need to be her safe-space where she can share anything.